Grammar for high school theoretically should activate the higher level thinking processes. Students should apply the concepts to their writing and analyze the grammatical components in literature and nonfiction. Students should manipulate the language and play with the rules in their writing and speaking. Grammar for high school should look like this. We high school teachers don’t always get students who are ready for these higher processes concerning grammar. (Note: I am not blaming anyone – especially other teachers. I taught junior high students for a year, and teaching them grammar was, trying. The focus of this article is not to blame, but to address a common situation with which high school teachers deal). The eight parts of speech, parts of a sentence, verbals, punctuation – many high school students cannot identify or do not understand these terms. The Common Core Standards have students learning basic grammar concepts in grades K-8, and then using, applying, and demonstrating those concepts in reading, writing and speaking in 9-12. By no means are the standards perfect, but the idea makes sense: students will understand the language when they are younger and be able to manipulate and apply ideas when they are older. Education may lean toward the right idea, but how should grammar for high school look today? Teachers can’t say, “well, they’re supposed to understand this!” and mosey along to the next standard. 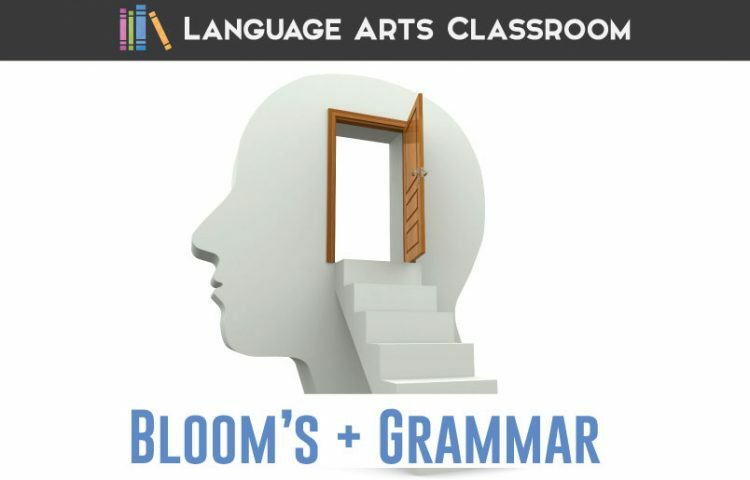 We high school English teachers must teach grammar basics, and move students along toward the evaluation and synthesis of grammar in other parts of the curriculum. One way to handle this is to provide students with older-looking materials. The subject matter may be typically taught in lower grades, but the materials should look age-appropriate. The “age-appropriate” look – what does that include? Ideas I immediately thought of: font, colors, pictures, and wording. I’d love to hear more ideas, because I feel like I “talk down” to students when my resources were clearly made for younger students. The actual appearance seems important to students, so I try to address that. A second way to handle grammar in high school is with the teacher’s attitude. Inevitably, students will ask about the content, knowing that they have studied these concepts before. What if we explained the reasons for reviewing? Give students our reasoning; provide them with the goal of learning these basics. A rational approach to reviewing younger material can help. Finally, explaining to students how the concepts build on each other in language study help with grammar in high school. Consider to find the type of sentence (and then vary sentences in their writing, students must know an assortment of concepts. They must recognize subject and verb, identify different types of conjunctions, understand punctuation rules, and know the differences between phrases and clauses. Grammar requires a foundation before the curtains and wallpaper are hung. Grammar for high school often includes the teaching of concepts, and the analysis of these concepts. It’s difficult because students are reluctant; either they find the material disconnected from their lives, or they feel that they should have learned it years ago. They may remember that it was taught years ago, and feel frustration that they haven’t grasped it. Whatever the reason, accommodating and being cognizant of the situation may help our students. Tired of looking for grammar lesson plans, only to be disappointed by their layouts? The complete grammar curriculum has mature designs! It allows for differentiated grammar lessons by providing varying learning tools for every concept With over a thousand pages, you’ll never buy another grammar activity again.